The name Klimanschewski however rings a bell: He had been around for decades, mostly as a cycling journalist, and now he had also made it as an author in the GDR. The thing I like most about the book really is the dustjacket. Not only is it still there, but the graphics are quite nice, too. The reproduced painting oozes power and dynamic exercise. It captures the drama of cycleracing well. 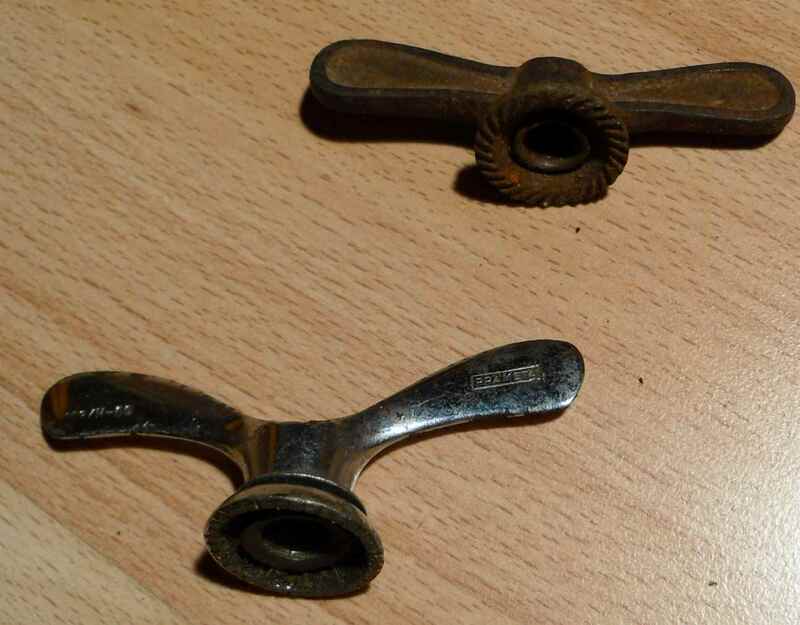 Lastly, there´s a drawing of a Fichtel & Sachs three speed derailleur, staple food for German racers in the early fifties. 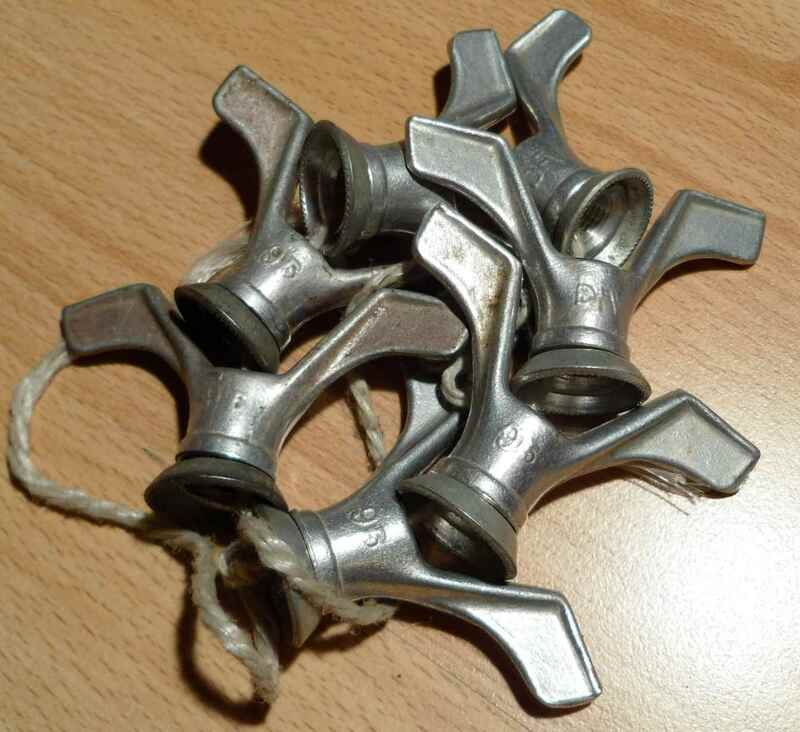 I´ve seen them in all steel, quite heavy and actuated by a top tube quadrant. It came with a special alloy hub with a cassette freewheel, if I remember correctly. How can you see that this illustration is meant for absolute beginners? Look at the little arrow (top right hand corner) denoting the direction the chain is moving in. All of the wingnuts hereunder are looking for partners, excepting the foursome which is for swap as is. None of the nuts are for sale; I hope to get rid of some of the singles and to get a few pairs instead, or to swap some of the pairs to get a foursome or two. Some of the wingnuts have languished in my box for the best part of three decades, so it´s about time I did something about them. As always, click on pic to enlarge. When (if?) getting in contact, please quote photo numbers, and don´t hesitate to ask for more snaps. Not that my photography skills would help to make things any clearer, but don´t hesitate to ask anyway. 1. These are two fronts and one rear. 2. Two fronts. Perfect for a Hercules. Oops, meant to say, Herse. Get a nut with the book. 3. Two fronts, one rear with derailleur clearance. 4. Two rears. Look like Renak, but are unmarked. Looking for a pair of fronts, would not like to get rid of these. 5. Bunch of rears with derailleur clearance. One used and slightly bent, rest NOS. Marked DFV and 96. Alloy. 6. Two WECOs, fronts. WECO was a big components manufacturer in a town where I used to work, near Bielefeld, Germany, where there was a huge cycle industry centre until the early sixties. 8. 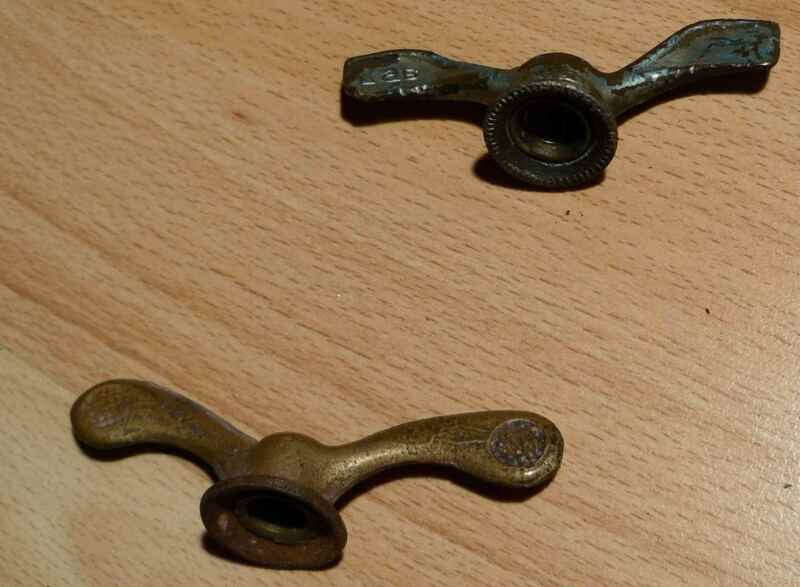 Pair of SOVA rears. One´s slightly taller than the other; wonder if it mightn´t clear a low height derailleur. 9. More unmarked Renak rears. 10. Rears with derailleur clearance in the r/h side one. 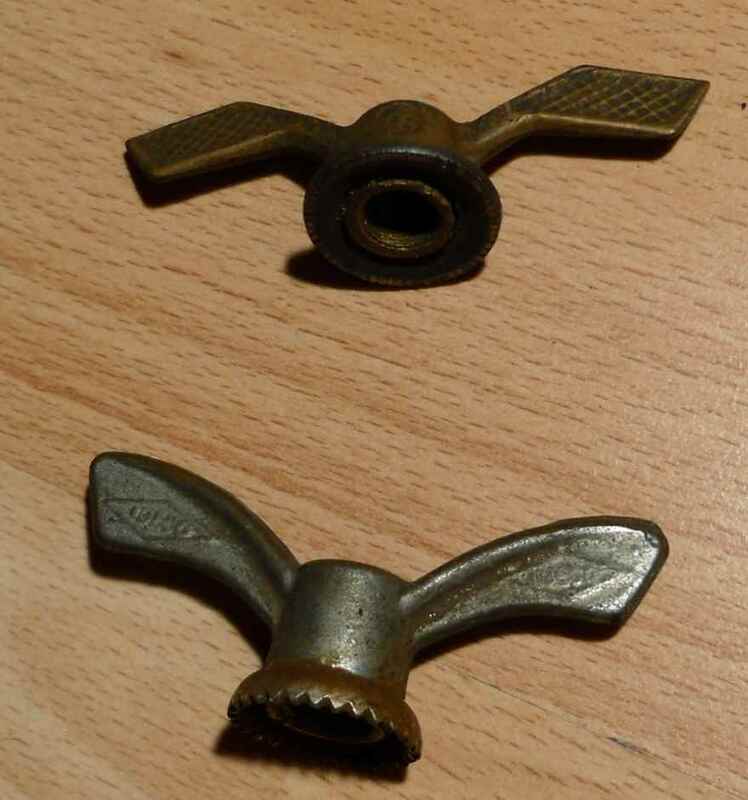 Looking for a pair of fronts, with or without CPSC balls at the wing tips. I´ve got a front pair with pointed tips marked ESKA, too. 11. Renak rears. Not strictly speaking a pair, one´s marked 33, the other one 10 and it looks slightly different. 13. Two SMAs, chromed bronze rear, natural bronze front. 14. Two slightly different unbranded ones, one front, one rear. Saving grace: They´re bronze. 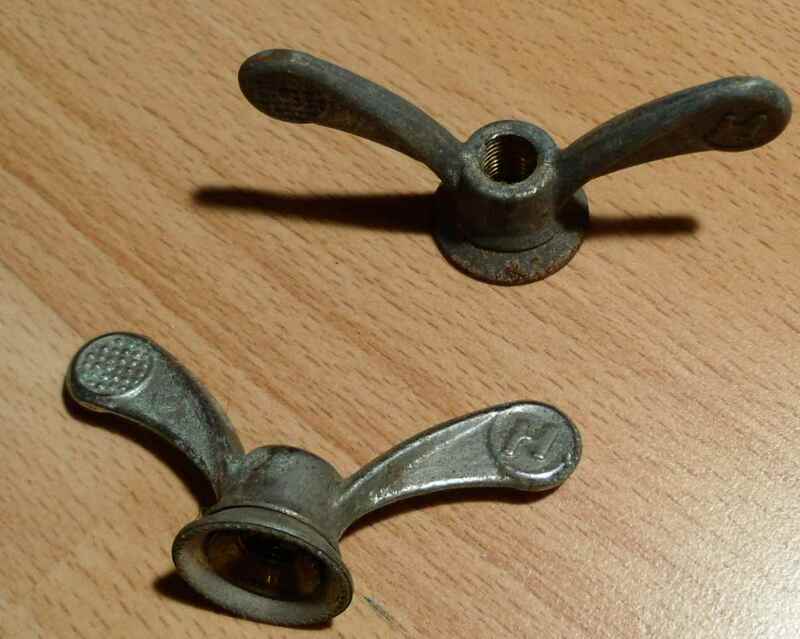 Some of the patina has fallen off, see dirt specks. 15. 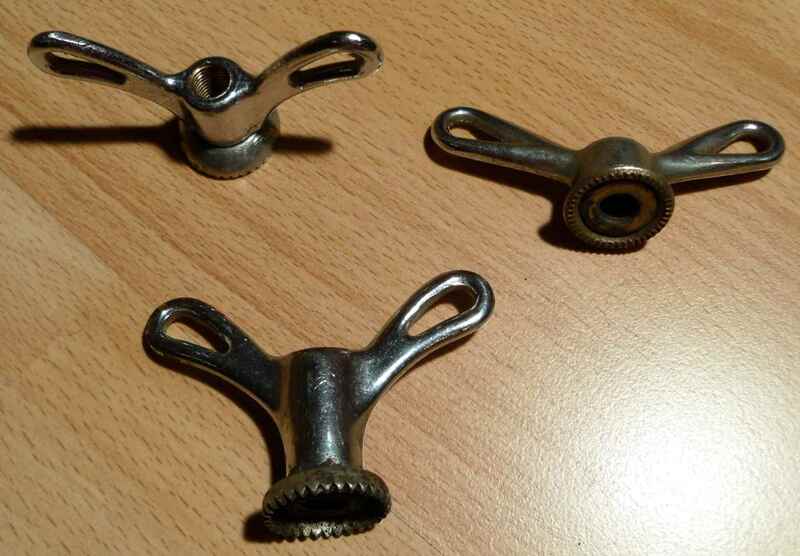 A foursome of unclear provenience, formerly chromed steel. B….. heavy. Will clean up beautifully once replated. 16. 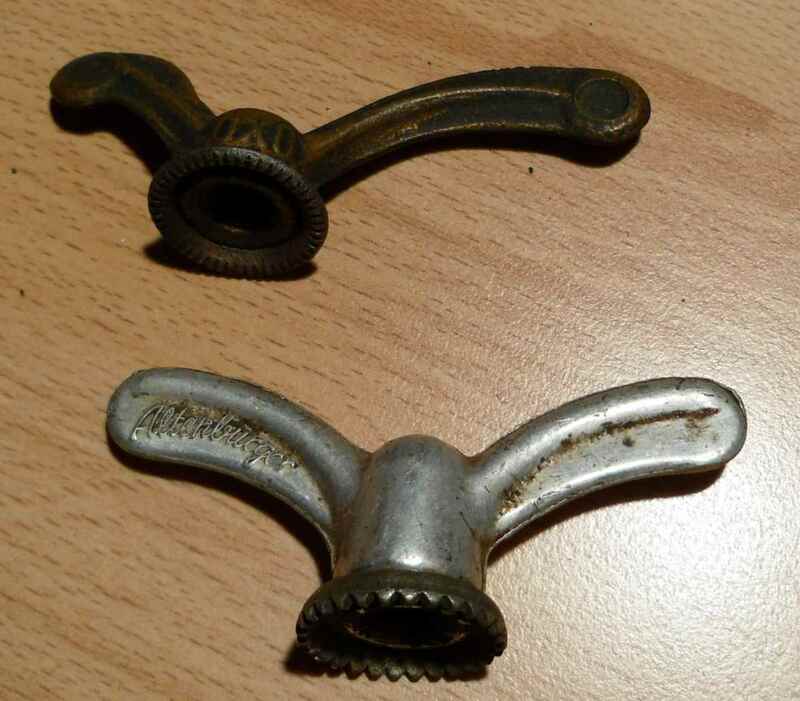 Pair of Weinmann fronts, alloy. 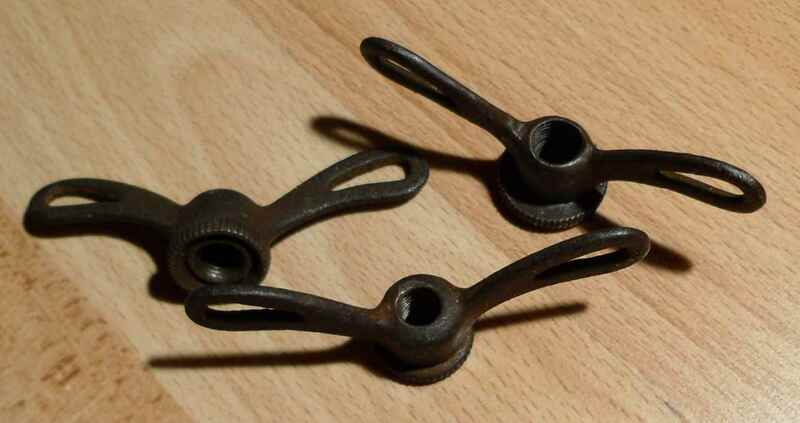 Looking for a pair of rears for these and would not like to get rid of them. 18. 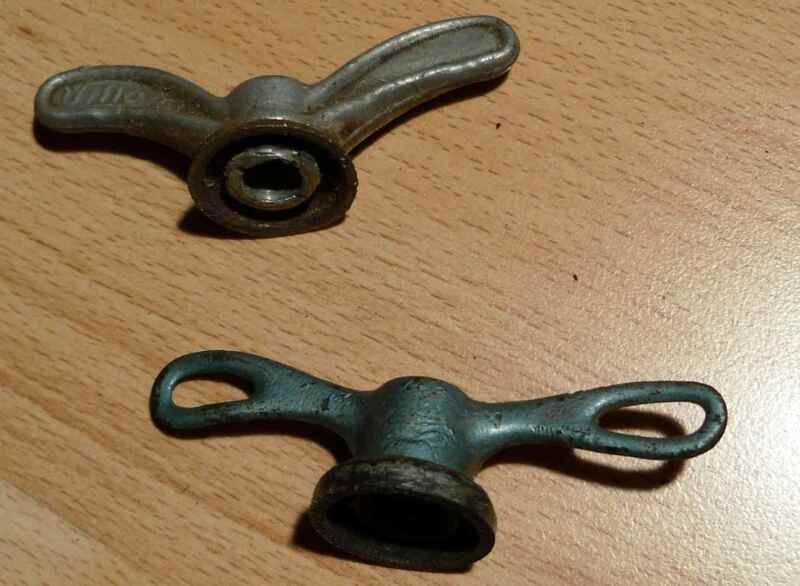 An asymetrical bronze OXO, very old, and an Altenburger. Both rears. 19. A bronze Max, and an alloy Moritz, sorry, Gloria. Both fronts. The Gloria I´d only part with in the direst of straits. 20. 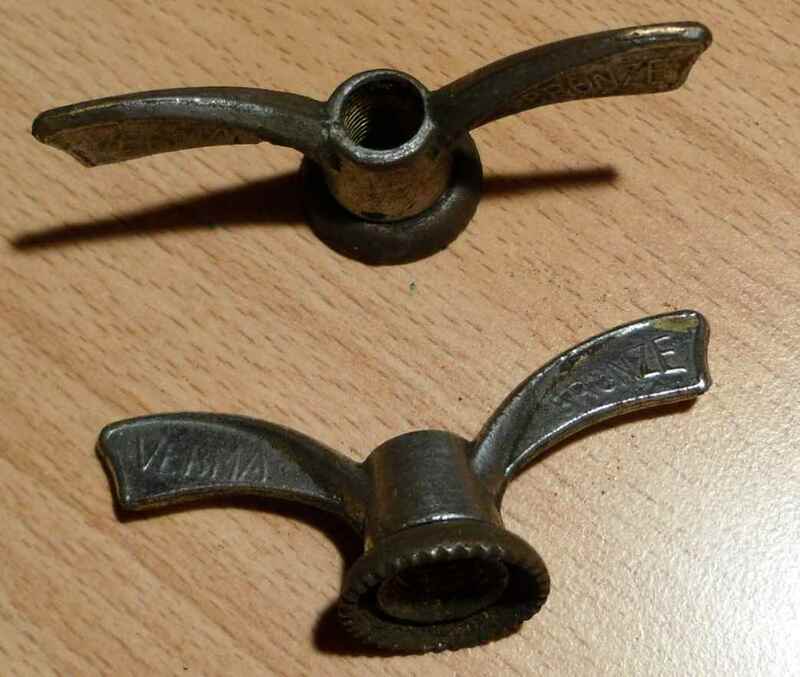 A WECO front and an unmarked rear. Rear´s a bit bent. 21. A blue bronze rear and a Villa (?) alloy front. 22. Another Villa, NOS, I´d say, and a moustache shaped one, not quite, but quite old. Both bronze. 23. A chromed steel rear, marked “152/H-60 Prämeta”. That´s about the maximum number of characters you can fit onto a single wingnut, I´d say. The other one is v. old, and a front. 24. 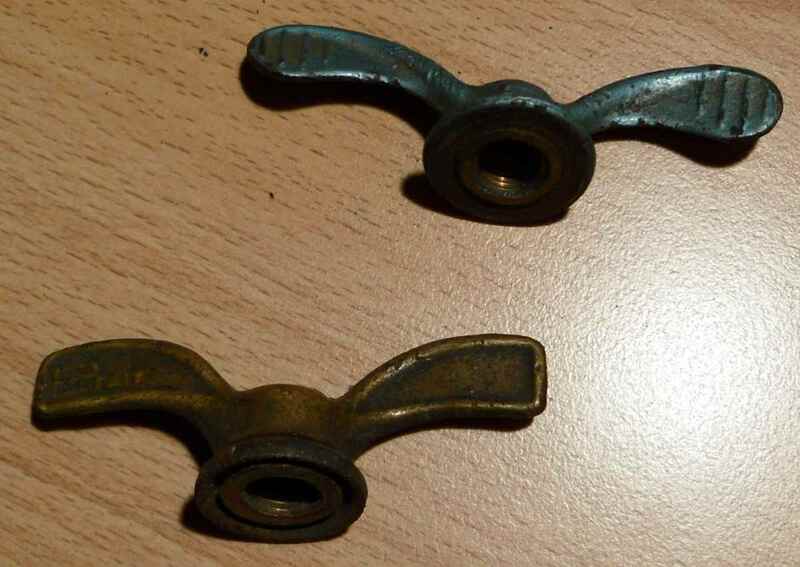 Two v. old bronze rears, one with cooling fins, just in case; the other marked Parfait, which it definitively isn´t anymore. 25. Two rears, one front, and a lot of rust. Sort of graceful, though. Front will have to be rethreaded. 26. 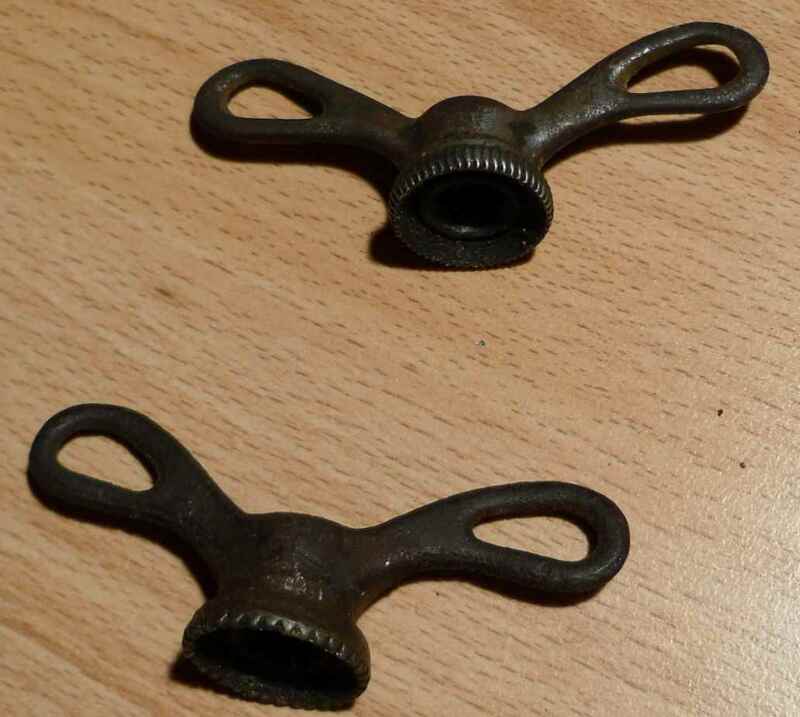 They look like it but are not a pair. Both rears. 27. Both bronze and rears. One marked L´As, which is hard to believe. 28. Single chromed steel front, slightly bent. A favourite of mine, quite clearly. Bought it off a friend when he moved house and his wife didn´t put up with the bike hanging in their bedroom any longer. He himself got it from the famous second hand department at ten Tusscher in Enschede, Netherlands. If you ever are in that part of Europe, the shop´s a must. 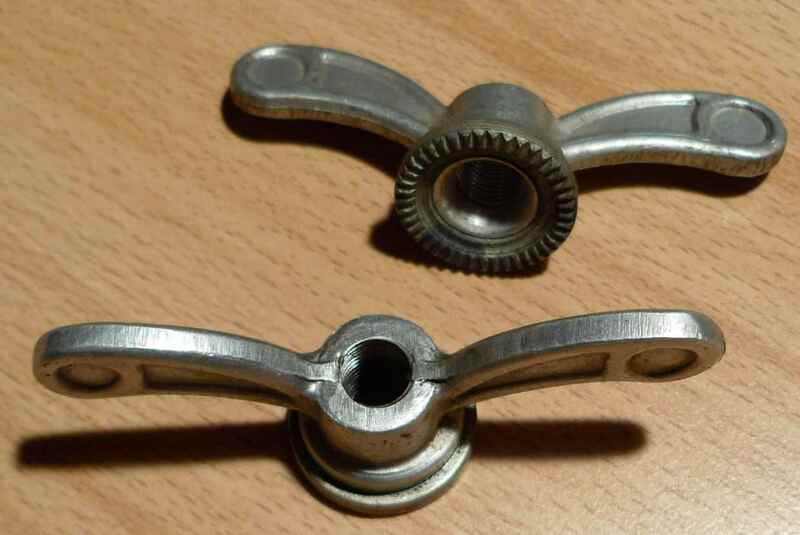 Since I took the photo I have been able to trade a pair of original toeclip pedals for a pair of sherriff´s star hubs, so that´s better now, and I received replacements for the road rashed rear mech and r/h side brake lever. It looks to me as if the first owner took a spill right after buying the bike, and then didn´t bother any more. So now the bike´s in as new condition. 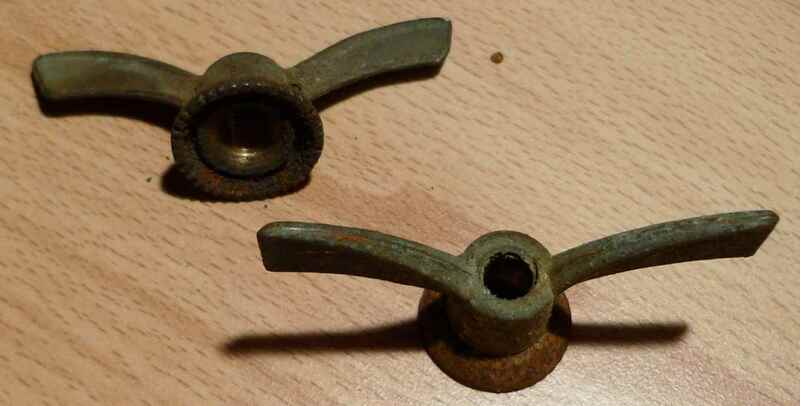 I know, it has low flange hubs, but these were original to the bike, the large flange hubs wouldn´t have been. The front half of the bike shows the colours quite well: Red, white and blue, just like on the Dutch flag. Also much easier to photograph than orange. 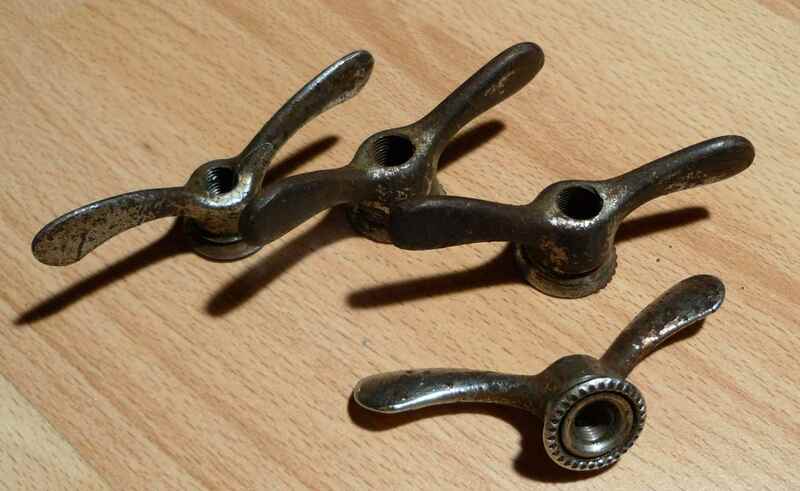 Early C-Record groupset with a six speed block. 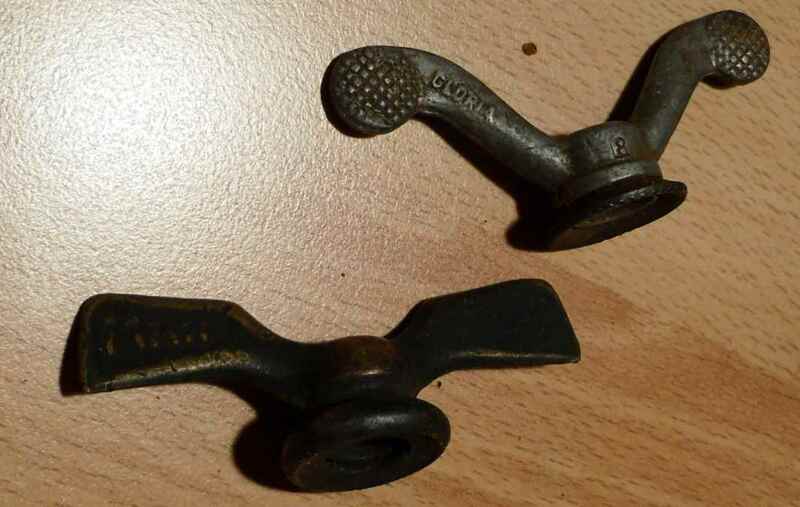 Hardly used brake blocks, not a scratch in the paintwork anywhere. Cinelli Volare saddle, also hardly touched. … and exit. Besides, I find wrapover seatstay cap treatments elegant. Fork crown with “Gazelle” Gazelle. “Original Gazelle handcrafted” – why is is struck out? What are they trying to tell me? Here are some snaps of a Gazelle motorpacing frame I found some years ago at a Dutch collectors´ meet. I have since tried to find all the parts necessary to build up the old battle scarred monster, but have not yet succeeded. I have only scored a front wheel, the handlebars and some small parts. Motorpaced bike parts are very rare, all of them, because they must be constructed or altered in very special ways to comply with the rules and/or to stand up the immense stress they are subjected to. Even the saddles have to be of special dimensions. As motorpacing is becoming more and more of a niche sport, riders hold on the their bicycles and spares as many makers just won´t bother any longer to serve this small market. The frame is orange in colour because this is the Dutch national colour (House of Orange and all that), much the same way as the Italian flag is red, white and green, with the Italians still using blue a lot as their national colour. The frame used to belong to the KNWU, the Koninklijke Nederlandsche Wielren Unie (the Royal Dutch Cycleracing Union), the Dutch partner organization of the UCI. The KNWU was founded in 1928, and the name still sounds a little old fashioned (“Nederlandsche“) to me. Nowadays Koga is their frame sponsor for the track, but it seems Gazelle was about 40 years ago. Sorry about the horrible quality of the first (and some other) snap/s. The detail that catches most attention is that the front fork is for 24″ wheel size, and that the blades are pointing backwards. That is because the cyclist will be able to ride his bike further into the pacing motorbike´s slipstream. This is also the reason why a 57cm high frame has such a long headtube: The main triangle is rather short in order to increase the effectivity of the slipstream, plus the small front wheel size. Note the “GAZELLE” stamp on the lower headlug. Nice touch. To give you an idea of how obsessed with strength the builders of motorpacing frames are, here´s a close-up of a front dropout. It is 5.5mm thick and, I guess, surpasses even Varsities´ or Black Phantoms´ curb crashing strengths. Motorpacing puts huge stress on bicycle components because of the speeds attained, and because of many outdoor concrete tracks being all but ice rink smooth. Even where stress is not that big, riders want to be absolutely sure that they won´t fall off at 50mph/70kph because of frame or component failure. 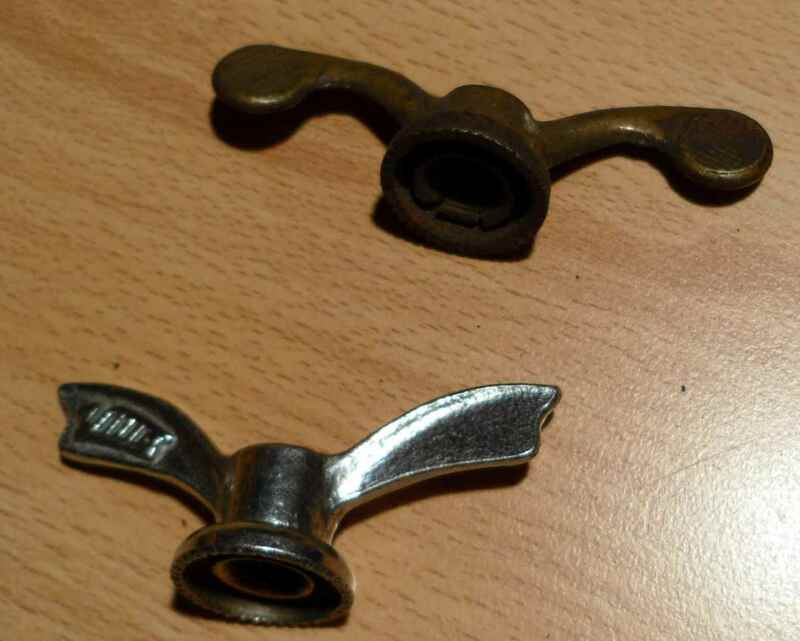 This is also the reason why there is a bolt in the fork crown where on a road frame one would expect a hole. The bolt holds a strut which leads up to the handlebar extension. 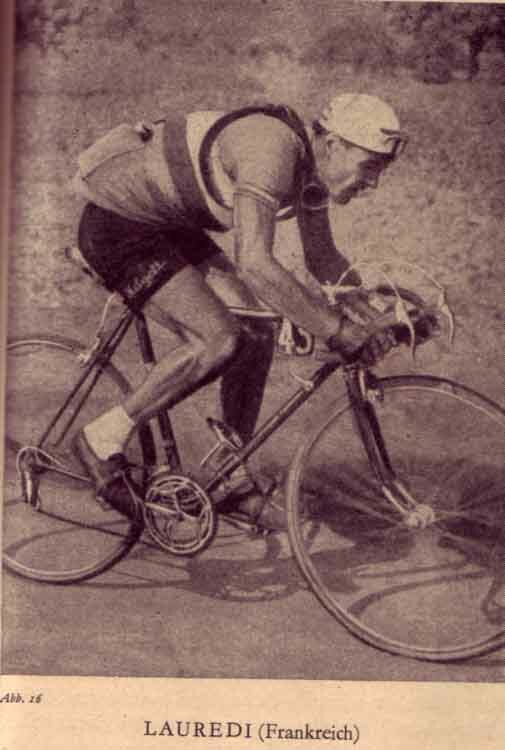 The riders leans heavily on the handlebars when eking out the least bit of slipstream, and often the extension is also rather long. Also it is quite obvious that the first lower headbaring race must have shaken loose from its seat: Look at the punch marks on the seat, right the top of the fork crown. The saddle nose also has a support which rests on the top tube. The small squares brazed onto the tube are there to hold it. Typical wrapover seatstay cap treatment. It is indeed a small part of the seat tube that sticks out from the front of the seat lug. Someone also took a hacksaw to it. I can´t for the life of me imagine that meticuluos Gazelle craftsmen just forgot to clean it off, so there must be some purpose to it, but what it is escapes me. The rear dropouts too are rather hefty, although a millimeter thinner than the front ones. Also they are Campagnolo; if one looks closely the name can be seen around the front curve of the slot. The brake bridge which can´t accomodate a brake also is rather sturdily made. It has strengthening diamonds, and an indentation for the rear tyre. 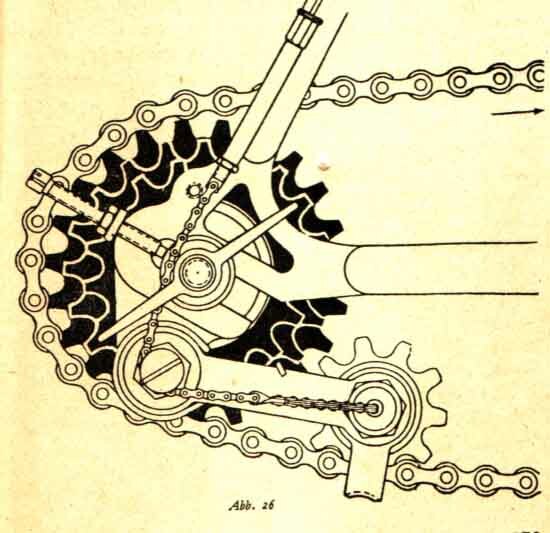 Speaking of indentations: You need a remarkable one on the chainstay for the huge chainwheel. One photo shows it from below, the other one from the side, in which you can also see that there must have been some bad collisions between the stay and the chainwheel. More sturdiness on the front fork, long tangs inside the blades. Round track blades, and look at the steerer tube where it appears at the bottom of the fork crown. Also the lower headlug spells strength, not refinement. Motorpacing frames aren´t exactly lightweight, but then there is comparatively little climbing in a track race, but a good chance of a spill or two, so dainty materials and paper thin lugs are not what you want. This also becomes apparent when you look at the heavy cast bottom bracket shell. The frame number is on the right hand side. On the left there is a “57” which is the frame height c/t, and then it says “KNWU”. There is also a “200” around of which I don´t know what it means. The “200” reappears on the steerer tube, as does the “57” and the “KNWU”, but the frame number is not repeated. Does the frame still qualify for the matching numbers hype, I wonder? The tube looks bulged, but this again is just my photography. Lastly, here´s a close-up of the Gazelle name on the lower headlug again. 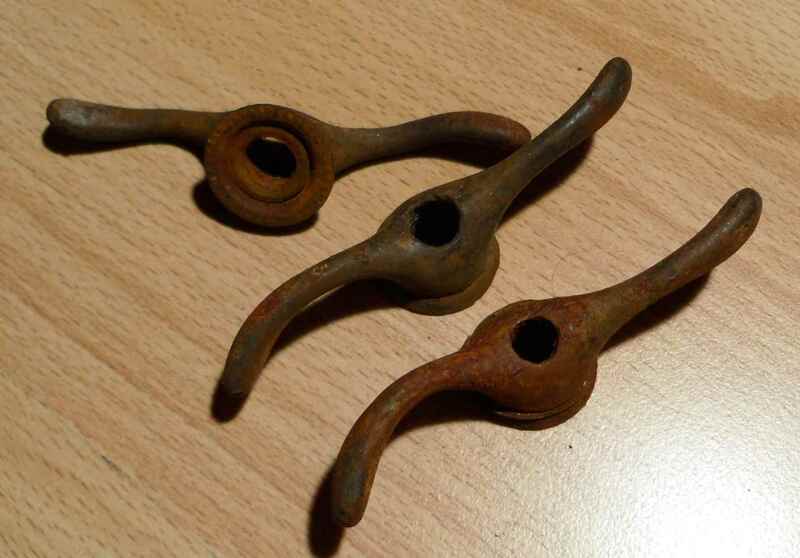 I thought it was time to report on my latest cycle related find. When I bought the record I thought at once that this was a good opener for a post on my Gazelle track iron. You didn´t think I got the Gazelle for 74 Cents? Oops, sorry. The record dates from about the same time as my bike, but contrary to the cycles depicted on the cover, my Gazelle frame has never seen a track, or any use, for that matter, in its life. It only has some shop wear, like a paint chip on the top tube, for instance. The bike really is a bog standard track frame fom the seventies, with rather simple lugs, clean brazing, but uninspired in general. 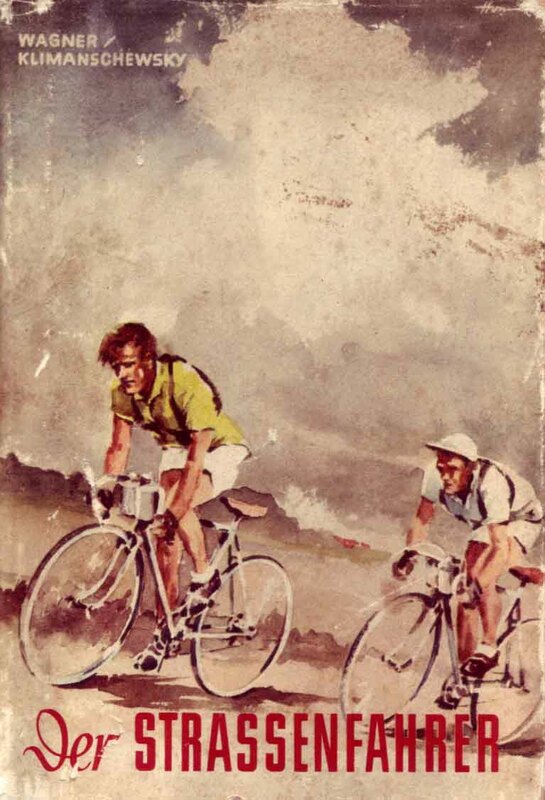 I like it because it hung in the shop window of my home town cycle dealer when I was a boy. It came to me via a detour, but still. Here´s some snaps. 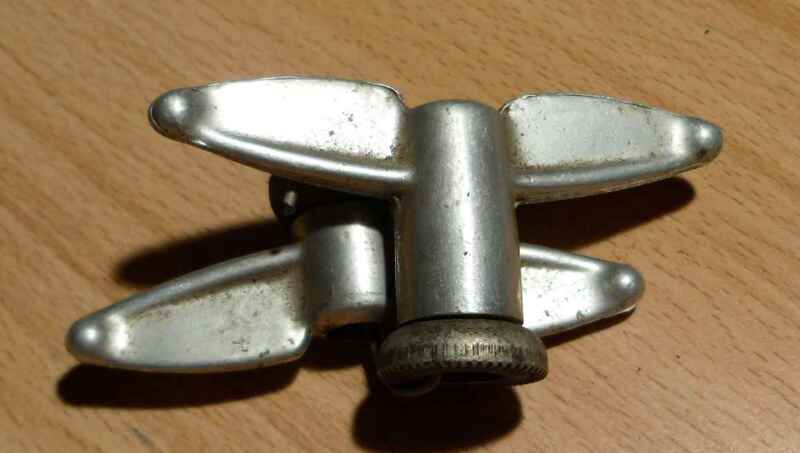 It has the typical Gazelle headbadge which was used until a couple of years ago. Screen printed alloy, but distinctive. There´s a “Champion” transfer on the top tube. I need to look into which level of quality it was. Gazelle bikes are plentiful in our nick of the woods, even nice ones, so one tends not to regard them as special. Not that I´d treat them with contempt, though, but it´s something you take for granted. The lower tier road bikes would sport grand names such as Tour de France or Tour de l´Avenir, then in the eighties there were AB Frames, AA and AA Special and AA Supers. Earlier there were lots of Champion Mondials, but so far I have come across no Champion. Someone will know. I just realized that I completely forgot to write a post on one of my favourite bikes, which is another Gazelle, a ca. 1985 AA Special. Going to happen soon. And, good gracious, there´s a motor paced frame, too. Like I said, I take Gazelles for granted too much. 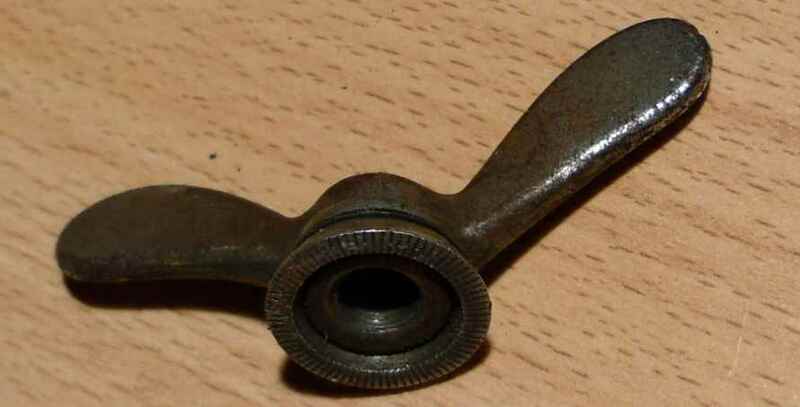 A part of the seat tube. It´s nice for a change not to have to make excuses for scratches. I tried to find as many unused or pratically unused bits as possible when building up the bike, and contrary to what the pic shows, this saddle is new. I need to have a word with my camera. In my quest for good Campag Record track parts I was greatly assisted by our neighbouring cycling club holding a spares sale about three years ago. Many of the stalwarts opened their vaults, and I think I could have bought it all. As it was, I concentrated on the nicer bits, and afterwards there were two cellars to browse through, too. Once in a lifetime, sort of. This crankset came from the spares sale, too. Note the price tag. Would one call this a brake bridge? Curved, anyway. Nice. Round blade front fork. Still nicer. Low stack height track headset came with the frame. the rear d/o is plain. Nevertheless it says “Campagnolo” on it. Note clean brazing, as much as is visible under the paintwork. Last pic in this post. 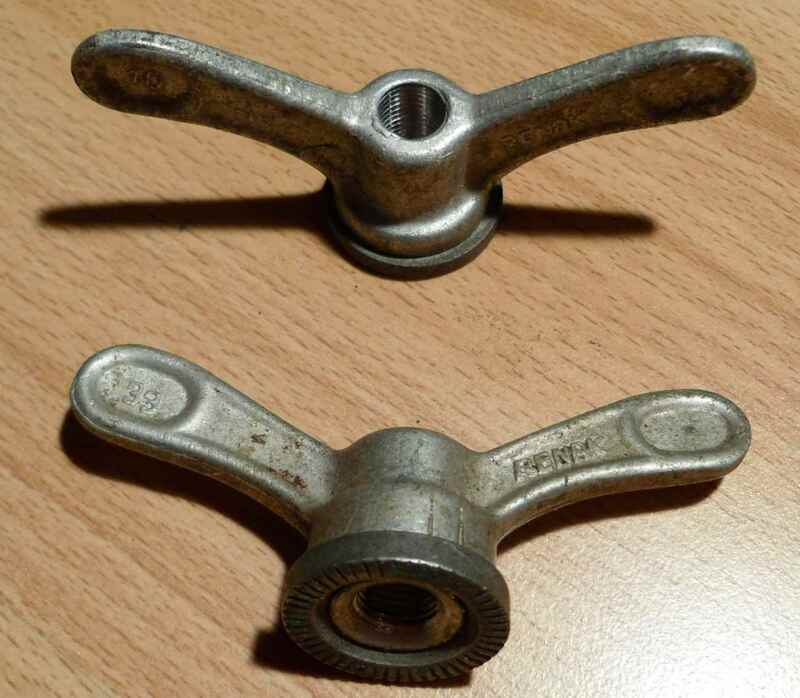 Would I need a chain tensioner to keep the nuts from slipping on the d/os? Looks ugly, so I left them out.